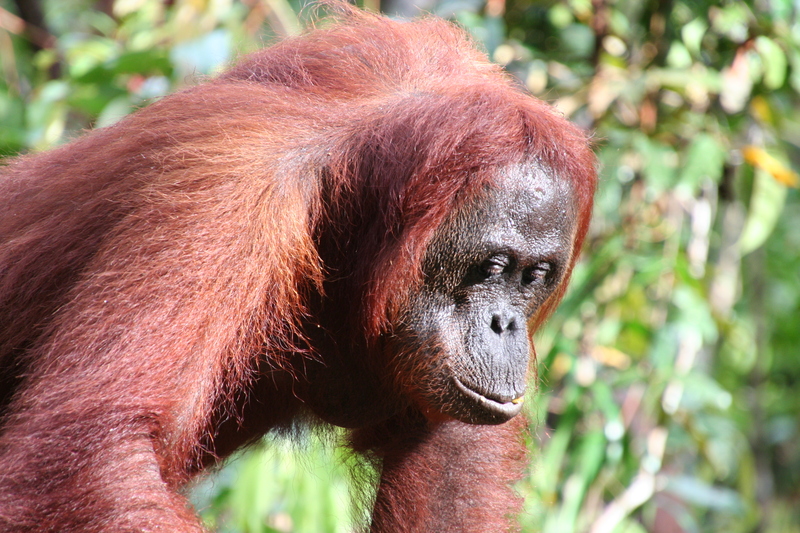 Orangutans, proboscis monkeys, macaques, gibbons, birds, dipterocarps, nipah palms, pandanus, and other exotic flora and fauna live free at their natural kingdom at Tanjung Puting National Park. The park was established in two parts during 1936 and 1937 as a game reserve for protecting orangutans and proboscis monkeys. It had been upgraded into the national park status in 1984 with total area of 300,040 hectares then in 1996 the area was broaden into 415,040 hectares. The reserve is the only protected area in Southeast Asia that conserves vast tracts of wetland, lowland mature tropical heath and swamp forest including several large rookeries where significant population of waterfowl breed. You can do trekking around rehabilitation center for an encounter to home of orangutans and other endemic species of Borneo. In the peaceful afternoon, you can watch proboscis monkeys, birds and other wild animals playing on trees at riverbank while enjoying your afternoon tea in the lazy safari boat. When the night falls, you will be surprised by the twinkle of fireflies featuring the singing of the night birds and other nocturnal animals play a symphony concert of the jungle, while in the first light of morning, you will be waked up by the morning dew and the hurly-burly of diurnal tropical rainforest creatures take their turn to amaze you.